7. "Leopard In The Night"
Dale Fielder - alto sax / Dave Robbins - piano / David Marr - bass / Chuck McPherson - drums. Since we now are in the digital CD era, where 60 to 80 minutes total time is the norm, I, of course, felt that the forty-plus minutes or so that was perfect for the 1983 LP era, would not be enough for a 2018 release. So I decided to add 2 bonus tracks. "Leopard In The Night" was from my first session once I moved to LA. 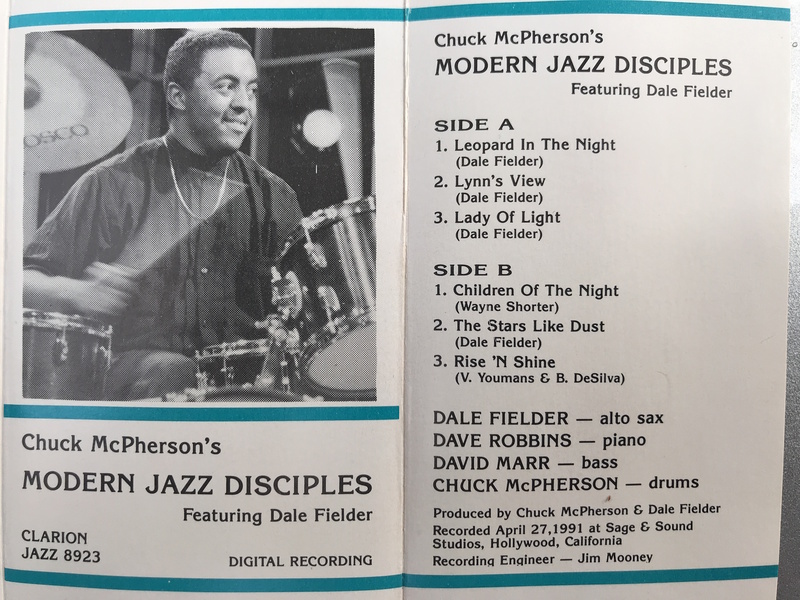 It features Chuck McPherson's "Modern Jazz Disciples" which was a quartet he led that enjoyed a residency every Friday and Saturday night at the Embassy Suites in San Diego from 1989 thru 1991 of which I was a member. This recording has the distinction of being the first Clarion Jazz release. It was released as a full-production cassette that Chuck and I used as a demo recording to get gigs. Even though I was living in LA since the latter part of 1988, nobody knew me in LA as I was primarily playing every weekend in San Diego until 1991. I would work my day job at Lehman Brothers in downtown LA and after work, every Friday for 2 years would head down to LaJolla to Chuck's house to do our gigs every Friday and Saturday night. Besides hanging out with Chuck who besides being a phenomenal drummer was an even greater human being (and kept me laughing every minute), I enjoyed the added bonus of also meeting and developing a musical relationship with his father, the legendary jazz saxophonist Charles McPherson who took me under his wing and mentored me. The McPherson's owned prime virtual beachfront property in exclusive LaJolla, CA since the 1920s. They had several houses on the property including the bungalow where Chuck lived that was also his Dad's studio. I fondly remember countless nights of hanging out with Chuck after our gigs, usually until 3 or 4 AM and sleeping on his living room couch. Without fail, at about 11 AM every Saturday morning, no matter how late we went to bed; -many times at 6 AM, Chuck would wake me and say, "Man, we gotta get up! Dad'll be here soon and you don't want him to catch you still in bed!" When in town, Charles like clockwork around 11 AM to Noon, would spend the afternoon in his studio. You KNOW I was loving that! After time with Charles every Saturday afternoon, I would be so pumped up to play those Saturday nights! He even gave me the Meyer alto mouthpiece that I use to this day! Charles took an interest in me and trusted me to the point to contract a 9 piece string section, rehearse them with his rhythm section and be the conductor at his performance of "Charlie Parker With Strings" at the Charles Drew University Jazz Festival. He had performed this body of work with a few symphony orchestras like the Cleveland Chamber Symphony, but after our concert, he pulled me aside and told me by far this was the best performance and situation of those tunes because I hired string players who also played jazz. When Chuck and I decided to record, it was Charles who recommended I go to Sage and Sound Studios up in LA to have Jim Mooney record us. He said that Jim is a legendary engineer, sort of like the 'Rudy Van Gelder of the west coast'. He was the favorite engineer of greats like Ella Fitzgerald, Sara Vaughn, and Sonny Stitt. Thus began my relationship with Jim Mooney through the first seven Clarion Jazz CDs before he retired (Dang it! ), including my big seller top ten CD, "Dear Sir: Tribute To Wayne Shorter" in 1996. For the "Modern Jazz Disciples" session we had the band that enjoyed the 2-year residency at San Diego's Embassy Suites with our regular bassist David Marr. For this session, however, we had Dave Robbins in the piano chair subbing for our regular pianist Alan Eicher who was out of town at the time. 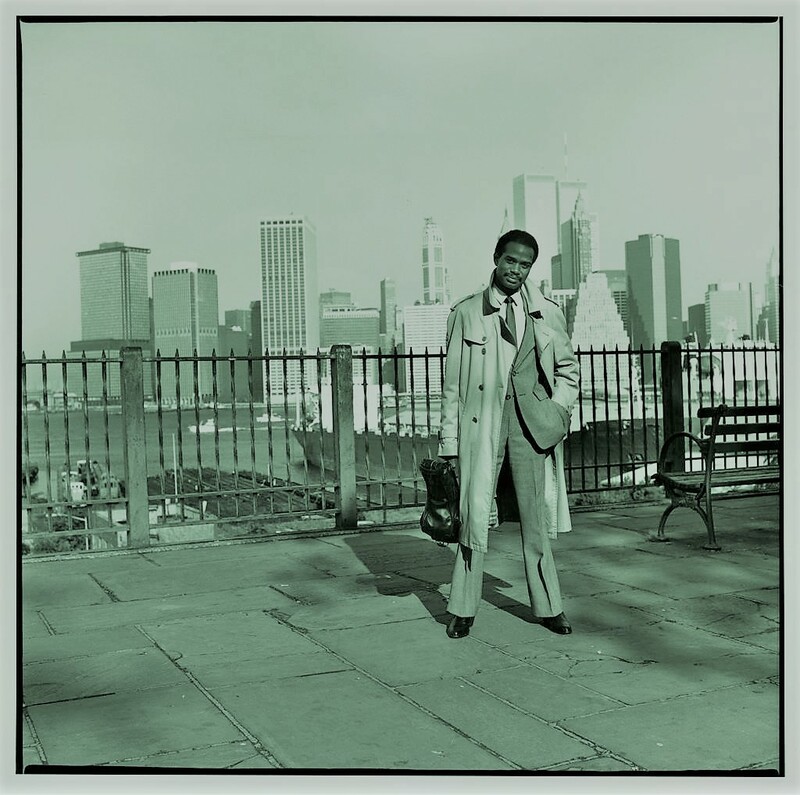 Dave had been playing with Freddie Hubbard, Stanley Turrentine, and Roy Ayers as well as having a connection with Geri Allen from their days at Howard University. I had sent the cassette of this session to Geri back then. She called me some time afterward to tell me how proud she was and how she liked my tunes. I remember her saying over and over, "Dave Robbins!" and told me how they used to hang out at Howard. She also mentioned how particularly fond she was of "Leopard In The Night." She asked me about the title and what it meant, and I told her it conveys the way I am always feeling. And she said, "Yep! That's one of those autobiographical tunes, I understand." 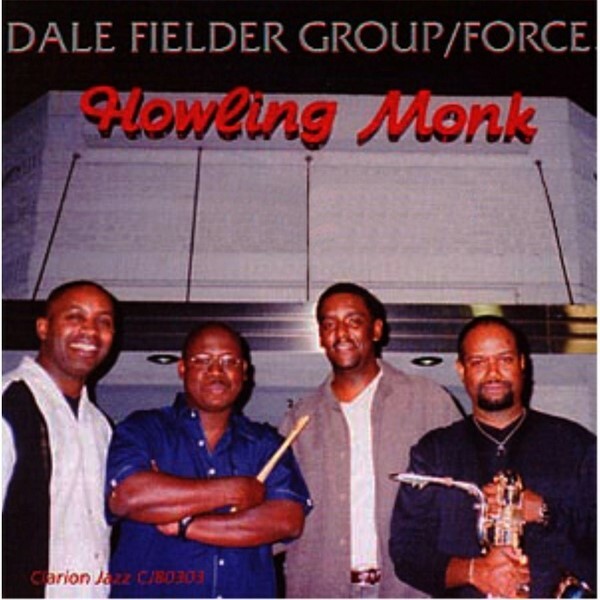 Members of the Group/Force that played "Thunderbirds" L-R: Trevor Ware, Thomas White, Danny Grissett and Dale Fielder standing in front of the Howling Monk Jazz Club in Inglewood, CA 2002. The second bonus tune I chose was "Thunderbirds" from an overlooked 2001 Clarion Jazz release entitled, "The Hipster". I chose this tune because it is the most recent recorded example of what I started out doing with these tunes from my first recording in 1983, excluding the 2004 jazz suite "Suite: Clarity", which is a direct descendant of those tunes. I wrote a whole suite utilizing the ideas I learned from Geri. Writing in this way seems to keep my music relevant and up to date. I was looking to write in a way that bridges the past (traditional jazz) with the future. I started by creating a type of jazz composition that used “pulse” rather than swing for rhythm, with interesting, challenging chord modulations to make it harmonically sophisticated, while at the same time enabling the improviser to extemporize on it in a ‘traditional’ jazz manner. All this while making the overarching impact of the tune accessible to the average listener of today. My rule in writing these crazy things is that no matter how unusual or far out the structure is, I want to still be able to play like Bird (Charlie Parker) on it. With the changes in our society and culture over the last 25-30 years with advancements in technology etc., I've noticed that audiences feel more akin to the pulse rhythm than they do to a swing rhythm with a walking bass line. My music still “swings” but more in the melodic content when soloing rather than built into the structure of the music. Nobody would confuse my soloing with Kenny G on these things! Also "Thunderbirds" includes Rob "Bop" White as the last time I played with any of the original members of the group, even though Mike Logan drove down from Las Vegas once and sat in with my band back in 2014 during an LA Arts Commission concert. Also, I wanted to include something that showed me as a more mature and assured player then I was in the 1980s, something closer to how I play now. This track includes a very young Danny Grissett making one of his first recordings. Danny has gone on to become internationally acclaimed as one of the great new pianists in jazz through his work with Tom Harrell and now on his own. The same goes for bassist Trevor Ware who is the bassist with the Count Basie Orchestra and numerous others and is one of the most in-demand bassists currently in jazz. On drums, is my regular drummer Thomas White. Thomas is an original member of the DFQ~Dale Fielder Quartet since 1995. Thomas is a graduate of the New England Conservatory of Music where he studied under the legendary George Russell. I don't leave home without him! He understands me so well that when I write a new composition, I don't even waste time explaining what I want from him. He is so in sync with me that he just knows! He has a natural ability to play odd-metered time very fluently, which of course makes him perfect for playing the pulse rhythm tunes that I write. "Thunderbirds" is one of the few tunes I have written that I actually like very much. And it represents very well the ideas I learned during my years with Geri Allen and displays everything I want to say about jazz in the new millennium.